When it comes to immigration, Donald Trump is big on rhetoric and short on substance. This is why no one is quite sure what to make of Trump’s change in tone as to what should be done about the 11 million undocumented immigrants currently living in the United States. 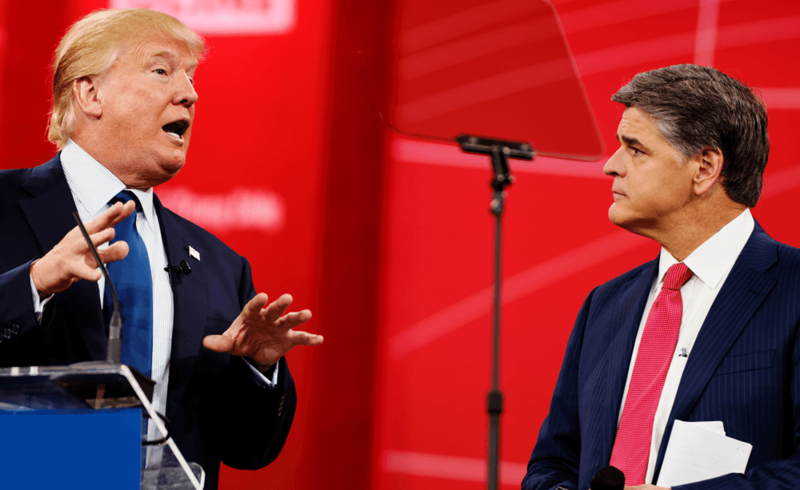 In an August 24 town hall-style interview on Fox with Sean Hannity, for instance, Trump said: “There could certainly be a softening [of immigration law] because we’re not looking to hurt people. We want people—we have some great people in this country.” Some observers have characterized these kinds of statements as a “softening” of Trump’s formerly tough talk; others have dared call it a “pivot.” In reality, it has so far amounted to a change in some of the words he uses, but with plenty of the old hate and xenophobia underneath. A new and “softer” tone notwithstanding, Trump has reiterated much of his hard line, anti-immigrant agenda. In the Hannity interview, for example, he said once again that there would be “no citizenship” for undocumented immigrants. He repeated his pledge to rid the country of all “criminal aliens”—even though many of these “criminals” have only committed traffic offenses or immigration violations; not violent crimes (although Trump acted as if they were all murderous gang leaders). He derided so-called “sanctuary cities” that utilize community-policing methods so as not to derail criminal investigations by asking witnesses and victims about their immigration status. And he promised again to build a wall along the entire U.S.-Mexico border. This time, however, he specified a height for the wall: “35 to 45 feet. That’s a good height.” He did not explain why a wall of this height would be impervious to light aircraft flying over it or tunnels dug under it. What Trump is actually doing is using vague words tinged with kindness to sugar coat his hateful ideology. For instance, he told Hannity that “It’s a very, very hard thing” to “take a person that’s been here for 15 or 20 years and throw them and the family out, it’s so tough.” He then asks the audience, “Who does not want them thrown out?” Trump himself does not actually answer the question. Rather, the question is posed to prove that Trump has a heart and worries about the human consequences of his policies. So, for whom are these political theatrics intended? It’s hard to believe that anyone born in another country or with parents born in another country would be won over by the softer, gentler Trump. It’s more likely that he’s directing his words at politically moderate whites who might support him if he just weren’t quite so extreme in his xenophobia. So he injects just enough humanity into his strident brand of nativism to make himself seem thoughtful and capable of emotions other than hate. In other words, this isn’t about public policy; it’s public relations. But always keep in mind that Trump has aligned himself since the very beginning of his campaign with some of the most virulent of anti-immigrant politicians, including Sen. Jeff Sessions (R-AL) and Kris Kobach (Kansas Secretary of State). These are actions that definitely speak louder than words.